The Shaklee 180 Healthy Weight Challenge is here! ** Share your results and story and you could win with a trip and/or a $500 Shaklee gift certificate. See details.  The Shaklee 180 Program is focused on helping you retain lean muscle while losing body fat. Includes everything you need for your first 4 weeks of the program. 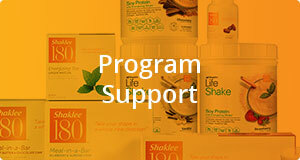 The Shaklee 180® program has been clinically proven to help people lose weight and keep it off. 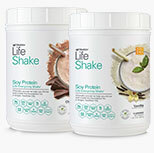 † Shaklee 180® products are the foundation – Life Shake meal replacements and healthy snacks – accompanied by rich beyond-product support: a step-by-step guide and online access to support tools, healthy recipes, meal plans, exercise programs and lifestyle information. Burn fat, not muscle with leucine. For weight loss that lasts, it isn't just about food and exercise alone&em;you need the right nutrition and the right support tools. Powered by Leucine®, our clinically tested products help you keep muscle you have, burn fat you don’t need and lose inches you don’t want. Real science with real results. You’ll see and feel the difference. This is the beginning of a new you. Your customizable two-meals-a-day kit contains everything you need for 4 weeks, with your choice of flavors. The program also includes a step-by-step guide to help you get started and online access to support tools, healthy recipes, meal plans, exercise programs and lifestyle information &en; to help you lose the weight and learn how to keep it off. 20 grams of non-GMO protein to keep you feeling fuller longer. Starting at 130 calories per serving. Clinically proven to help you reach and maintain a healthy weight. Powered by Leucine® to help you build lean muscle, burn fat, improve metabolism. Proprietary prebiotic from an organic ancient grains blend enjoyed by humans for millenia, plus added digestive enzymes. Easy to digest, promotes regularity and digestive comfort. 23 essential vitamins and minerals and 200 mg of calcium plus ALA, an essential omega-3 fatty acid. Low glycemic, non-GMO and gluten Free. †Westcott W, Colligan A, Puhala K, Lannutti K, La Rosa Loud R, Vallier S. Journal of Exercise Physiology Staged. 2017 Feb 1;20(1). Shaklee 180 is a simple healthy weight program – that is also clinically proven for weight loss† and weight maintenance ‡ This program was clinically tested for a year – 6 months for weight loss followed by 6 months for weight maintenance. Body fat percentage dropped over 5% on average. After 6 months, 70% of participants chose to continue on a 6 month maintenance program. This simple program consisted of: (1) Shaklee Life Shake daily (2) a twice weekly exercise program of 20 minutes aerobic and 20 minutes resistance work (3) with no calorie targets. Improvements were seen in fat mass, % body fat, lean muscle mass, waist and hip circumference while maintaining their weight. Share your results and your story and you could be rewarded with an amazing trip to Las Vegas and/or a $500 Shaklee gift certificate! Shaklee 180 has helped me be in the best shape of my adult life. The program helped me lose 72 pounds. It also helped me maintain a healthy weight despite another pregnancy. I am a busy mom of 5 and use the shake, tea, and Metabolic Boost* daily to keep me going. I've also gotten certified to teach group fitness classes and continue to teach aquatics, intervals, boot camps, etc. I have energy (and a smile!) to spare, even though my classes are tough! **No purchase necessary. Shaklee 180 Healthy Weight Challenge: open to legal residents of the 50 United States (D.C.), Puerto Rico, and Canada (excl. QC) 21 years or older. Upload submission by 6/30/19. For Official Rules, including prize descriptions, click here.